The mainstream laser unit can only be used only on those with light skin and dark hair. Because the laser targets pigment, it can burn darker skin, and won't be effective on those with lighter hair. Those that don’t fit in the light skin/dark hair profile (meaning most people) are now being helped by advancements in the tech that use a combination of radio frequency and laser treatment. Unlike laser treatments, electrolysis, can be used on anyone regardless of skin or hair color, because it attacks cells within the hair follicle instead of pigment. But there's an upside to laser hair removal, which is that it's quicker. Facial zones are small, so something like treatment for the eyebrows generally takes about 15 minutes. Generally, four to eight treatments are needed, spaced out about a month apart. Each visit averages $200-$400, based on the size of the area being treated and the facility itself, although since the facial zones are fairly small, they're on the lower end of the price spectrum. Electrolysis takes longer because each hair follicle has to be individually treated. Approximate times depend on the type of electrolysis used; Some are more advanced than others. For example, one treatment on the eyebrows may take 15-30 minutes with an experienced technician. The best results will only be seen after 15+ sessions, although how many depends on your skin and hair. It's cheaper per appointment than laser removal, though, with a session costing about $45. Beauty is pain, and unfortunately both options are kind of painful. Laser removal feels like a burning rubber band snapping against your skin. Everyone has their own tolerance for pain and discomfort, but those with coarse and dark hair feel more burn. Generally, the more testosterone you have, the more it's going to hurt. Laser hair removal on the eyebrows can also be dangerous if the laser light comes into contact with the eyes. Therefore, you will need to wear protective eye shields and keep your eyes closed for the entire treatment to avoid any contact. Scarring and stimulation of facial hair growth, although rare, are also both possibility. 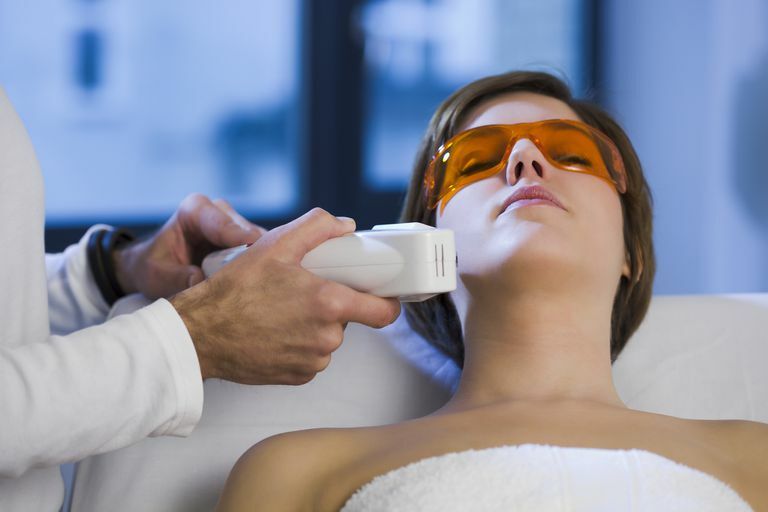 Laser removal is approved by the FDA for permanent hair reduction, but because facial hair on women is often lighter and finer than on the body, it may not respond as well for body hair. Electrolysis, although less painful, is still killing cells—it's been likened to a stinging and pricking sensation, but unfortunately each follicle has to go through it. However, if it's done improperly, it can cause skin discoloration, so do your research on the technician you intend on going to. Electrolysis is also approved by the FDA for permanent hair removal, and has a better track record for facial hair. But there are risks. 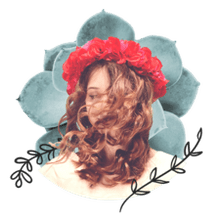 For example, hair follicles can be bent or misshapen from previous waxing or tweezing, making the path of the electrolysis needle to the root more difficult to destroy the follicle. However, electrolysis is almost always effective for ridding fine facial hair, whatever the color may be. For home treatments, Tria's Laser Hair Removal Precision and Silk'n SensEpil are two home devices cleared by the FDA for permanent hair reduction through laser hair removal, and both can be used from the cheek down on women. But if you have dark skin or light hair, you just can’t rely on standard laser hair removal. A hybrid of laser and radio frequency used for dark skin or light hair may not be available in your area. Electrolysis might be your only option. Electrolysis units are also sold for use at home, but given the way it's performed (by inserting a needle into the follicle), it's best to get it done at a salon. If you have light skin and dark facial hair, then you can choose between either option. Laser removal is generally the less expensive of the two, and requires less time and treatments. Laser might also be your better choice if you are happy with most of the hair being removed, or the hair being finer and lighter. If you have a lot of light hair removed, or you want the best chances of getting permanent hair removal, then go with electrolysis.